Need to import heavy machinery? Any piece of heavy equipment will most likely need to be shipped with special requirements. Depending on the size of the machine it may need to be partially disassembled or shipped internationally using a larger container. Shipping oversized freight can become complicated if not done correctly. What type of duty or other taxes will I have to pay when I import heavy machinery? The amount of duty that will be owed to the government when you import heavy machinery will vary from case to case. The type of engine that the machine has, what the machinery is used for and how much it weighs are all factors that go in to how much duty will be assessed. Duty is required to be paid before a customs clearance is issued to the importer. It is vital to have a customs broker classify and clear heavy machinery equipment through customs to ensure the easiest experience possible. A customs broker acts as an attorney on behalf of the importer and will file a customs clearance on your behalf. They are also experts on classifying heavy machinery or expensive equipment which ensures importers will pay the least amount of duty legally allowed. This could potentially save the importer thousands of dollars. The role of a customs broker is important when importing heavy machinery especially if it is a sensitive shipment with special needs. Often times the equipment must be shipped in pieces or in larger containers. Shipping oversized freight requires vast attention to detail and close oversight of the shipment from start to finish. Door to door delivery of heavy machinery consists of getting several transportation companies working together to get your freight to its final destination. Since your heavy machinery freight cargo is a special needs shipment, it is important to work with a company that has experience shipping heavy machinery. 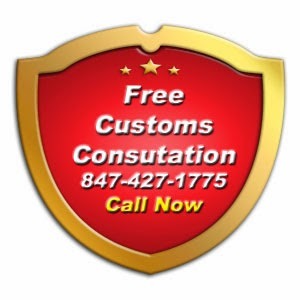 Most customs brokers also act as freight forwarders. This is an advantage for the importer because if a customs broker handles the shipment from origin to destination, they act as the middle man who will communicate with each transportation company from start to finish. It is much easier for the importer to track their shipment by making a phone call to one person, rather than several trying to figure out where their freight is. Using a customs broker when importing heavy machinery is highly recommended.